In an effort to bring awareness to the disappearance of Lily Aramburo, our team got together yesterday to shoot a video for America’s Most Wanted “My Story”. (Photo courtesy of Joe Carrillo) Here is Lilly’s mother, Lucely (left) and me (right) standing in front of the house where Lily was last seen in Coconut Grove, Florida. Private Investigator Joe Carrillo and his partner Ana Lanuza. 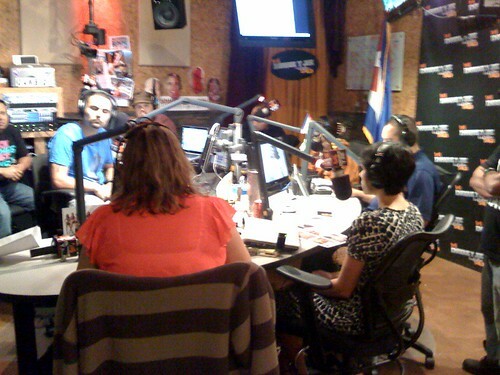 Lucely asking the residents of Miami and Coconut Grove for their help. If you know anything at all about the disappearance of Lily Aramburo, please report your tip to law enforcement or place a call to Private Investigator Joe Carrillo at 305-926-3110. I’d like to invite my local readers to an exciting event in South Florida. 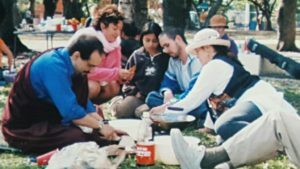 It’s unusual for me to blog about events unless it’s somehow related to a missing person but this post is special. The Imagine Miami Changemaker Summit is being presented by the Human Services Coalition and Imagine Miami. The Human Services Coalition (HSC) is a local non-profit organization that adopts and shares new, innovative approaches to community change. The summit will focus on Arts, Culture and Civic Engagement featuring hands-on workshops with National and Local experts. If you’re an activist, volunteer, philanthropist, nonprofit organization or just someone who cares about Miami Dade, this is THE event you don’t want to miss. This totally Green gathering will bring together civic, community and grassroots leaders, emerging leaders from lower-income neighborhoods; community capacity builders from nonprofit, government, education and other sectors; and artists for social change to make a difference. NE 4th St. between Biscayne Blvd. & NE 2 Ave.
You can register for the event here. For more information, please call (305) 576-5001 ext 45, or email: corinnam@imaginemiami.org. The cost for the summit is $45 in advance or $60 at the door. Space is limited so register now to reserve your space. I’ve already purchased my ticket. If you’re interested in attending the event and would like to meet there, please let me know by leaving a comment on this post. I’d love to connect with you. Until next time, stay safe! And don’t forget to Subscribe to my feed to ensure you don’t miss any news or updates. Thank You Miami New Times! I’d like to take this opportunity to thank the Miami New Times for including our blog, Justice for Lilly Aramburo on their local blog links. We are very grateful to the Miami New Times Blog for linking to us! Another reason we love the Miami New Times. First, Francisco Alvarado writes the only article ever printed about Lilly, a cover story published last September and now this. It’s a very big deal and I’m extremely humbled. If you use Twitter, please be sure to follow the Miami New Times. By the way, let’s keep our fingers crossed for a follow-up article on Lilly Aramburo’s disappearance. Feel free to help make it happen by contacting the Miami New Times directly. As always, we appreciate the ongoing support we have received from everyone. Please continue to spread the word about Lilly’s disappearance. And help us bring her home! In 6 months, it will mark the 2nd year anniversary since Lilly Aramburo was last seen by family and friends. The night was June 1, 2007, at approximately 2am. She walked out of her live-in boyfriend’s condo after a heated argument and has never been seen alive since. Lilly’s family is asking the public for help. If you know anything at all or have information regarding the disappearance of Lucely “Lilly” Aramburo, Lilly’s mother, family and friends urge you to contact Miami Dade Police at 305-418-7200 or Crime Stoppers at (305)471-8477. (You can get a cash reward of up to $1000!) It offers complete anonymity. Lilly may have walked to the bus stop or to the Metrorail Station which is very near to Dadeland Mall. She may have traveled to the Coconut Grove area. DO YOU KNOW WHAT HAPPENED TO LILLY? Chances are you’ve probably never met Lilly but if you did, you would understand why we’re so determined to find her. 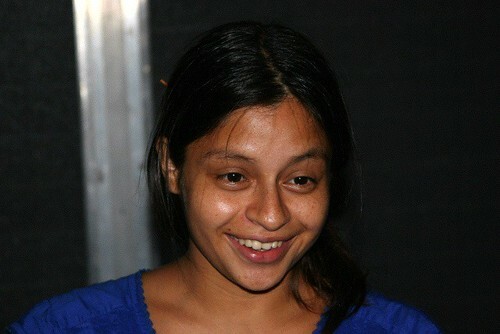 Lilly was a girl of peace, a young mother who loved her baby boy very much. She was a humble person and good friend who touched everyone she met with her beautiful smile. She had the energy of a small child. It is a shame that this had to happen. And that her disappearance has remained unnoticed, while the media arbitrarily picks and chooses who they find important. She loved music, and although she loved rock, oldies were secretly her favorite songs. She loved to read and write in her journals, but refused to learn computers. She was a very simple girl, who shopped at vintage stores, and hardly ever wore much make up. The term earth girl, comes to mind when I think of her. And pixie, as well. People would often confuse her with being a teenager because she looked so damn young. Lily was tough as steel, both emotionally and physically. Once she fell off a 2nd story building at the University of Miami campus. She went to the hospital and walked out, took the brace off and kept going, because she had to be at work the next day. When she was pregnant with her son (now 2 years old), she glowed. It was the most amazing time in her life. The loveliest I had ever seen her. Her skin looked a golden olive, and her almond shaped eyes, glistened. I could see life in her. And she was truly happy and hopeful, looking forward to the birth of her son. I thought she would make it. She began taking prenatal yoga, went back to being a vegetarian, and was dedicated to meditating and praying a lot. We had no idea of what was to come. Almost 2 years later, and we’re still awaiting answers. Every day Lilly’s mother wakes up thinking about Lilly and what could have been. It must be so painful for her to raise her grandson, Lilly’s 2 year old son, while praying for the day when Lilly is found and finally put to rest. We have reason to believe Lilly is a victim of homicide but many questions remain unanswered. And that is why we’re asking for your help. We’re currently trying to piece together Lilly’s last movements. Anyone with information which could assist police with their investigations should immediately contact Miami Dade Police at 305-418-7200 or Crime Stoppers at (305)471-8477. If you’re in South Florida, print a flyer and post and share it as much you can. Lily’s case has received very little media coverage. 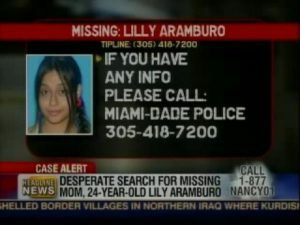 So far, the only article published about Lilly’s disappearance was in the Miami New Times last September. As you can see, Nancy Grace was kind enough to feature a Case Alert about Lilly, as well. Can you help us get media coverage for Lilly? Contact Nancy Grace and ask her to investigate Lilly’s possible homicide. We’d like Lilly to be featured on local media stations in Miami. Please let us know if you can help with this. Drop me a line or leave a comment on this post. Lilly’s family and friends are grateful for your prayers and continued support. Let’s bring resolution to this grieving family. Talk about waste of time and resources! I can’t understand why someone would make up such a drastic lie just to cover up a miscarriage. Police are saying it was a desperate attempt to fix a broken relationship. Nearly 20 detectives worked the case during Christmas Eve and Christmas. Now police want McCormick to pay for the resources that were used in the search. The search in Florida for a missing toddler with ties to Massachusetts has been called off – because it was a hoax. Miami police had been looking for help in their search for 6-month-old Riley Buchness, who was reportedly last seen by his mother December 23 in Miami. It turns out there is no Camille and there is no Riley. Miami police said Friday that the whole story was fabricated by the woman who claimed to be the missing child’s mother. That woman, Megan McCormick, has now been charged with filing a false police report. According to Miami police detective Freddy Ponce, McCormick made up the story about her missing 6-month old son to cover up the fact that she had a miscarriage six months ago and didn’t want her ex-boyfriend, John Buchness, to know the truth. Police say Buchness had no knowledge of the miscarriage and was in Miami to meet his son for the first time. That’s when the story started to fall apart. What a nightmare for a parent to experience… The parents of a 6 month old toddler are desperately looking for the whereabouts of their baby boy. The baby was last seen with his babysitter, Camille on December 23rd. She’s described as five feet six inches tall, weighing about 130 pounds, with dark brown hair halfway down her back and a gap between her teeth. She speaks with a heavy French accent. If you’re in Florida, please keep your eyes open for this baby and look out for a red Acura with a Massachusetts license plate. Police ask anyone with information to call Miami Police at 305-579-6630 or 305-579-6619. The search for a missing toddler in Florida has ties to Massachusetts. 6-month-old Riley Buchness was last seen by his parents December 23 in Miami. Riley, who is white and about a foot tall was last seen wearing a white onesie with blue jeans. His hair is in a mohawk style, he has one tooth, and a fake tattoo of an anchor on his left arm. He’s believed to be with a 20-to-30 year old woman named “Camille.” Her last name is not known. She speaks with a heavy French accent. She is white, 5-feet-5 inches tall, weighs 130 pounds, with very long brown hair, brown eyes, and a gap between her teeth. Police say Riley and Camille are possibly traveling in a red Acura, possibly with a Massachusetts license plate. Investigators are asking anyone who sees the child or the car to contact their local police department immediately. This will be our 2nd holiday without Lilly Aramburo. The feeling of great loss and grieving hasn’t stopped since her disappearance but Christmas is especially arduous. Emotions are raw. Most of Lily’s family is processing through this the same way we would with a death, except there’s no closure because Lilly’s body has not been found. In the midst of all this suffering, there has been some progress though. Lilly’s mother, Lucely, requested a meeting with Captain Janna L. Bolinger-Heller from Miami Dade Police Department, she kindly agreed. Lucely, Joe Carrillo (private investigator), and I met with the Captain and Lieutenant Normando Gregorisch yesterday. It was our first time meeting Captain Heller in person, as well as Lieutenant Gregorisch. I must say, it was a very positive meeting. Obviously, I can’t disclose any details since it involves an open investigation. The last thing I want is to compromise the case and let violent criminals get away with murdering my friend. If all goes well, and everyone keeps to their word, I have no doubt…the truth will come out and this case will finally be transferred to homicide. Please light a candle and say a prayer for Lilly and her family. We had an amazing vigil for Lilly today. Lucely, Lily’s mother came out with the baby (Lily’s 2 year old son) despite feeling ill & being feverish. She brought Lilly’s grandmother and cousin, too. We were so delighted to see them. Baby Palden has grown so much and he’s talking like crazy! He is identical to Lily. He’s super charismatic and gorgeous! 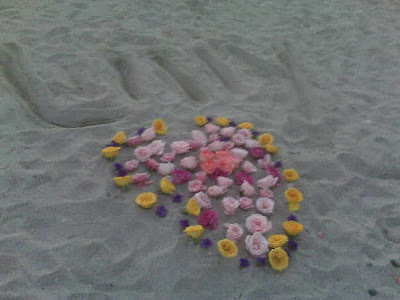 He helped my girls make a heart in the sand made from yellow, pink and purple roses. (pictured above) We looked at Lily’s baby pictures & pictures of her growing up, released balloons, and dedicated prayers. It was all very harmonious. disappeared when he was twelve. as you found your son. and an end to their searching. may see and hear news that will bring hope. because the one they love has vanished. and guide them in their efforts. Isn’t it lovely? We’re very fortunate to have you on our side. Thank you so much, Joe. I really appreciate each and everyone who came out to Miami Beach today to show your support and love for Lily. Thanks so much to Carmen for being there for us, you’re a godsend. For those who couldn’t make it, we’d be so grateful if you could please light a candle and dedicate a prayer for Lily. Thank you for your loving kindness and compassion on this special day. Missing mother Lilly Aramburo’s Poster on Second Life – Thanks Project Jason! Project Jason is a nonprofit organization that provides assistance to families of the missing by providing resources and support. They create awareness in a myriad of ways to help bring them home. It was founded by the parents of Jason Jolkowski, who disappeared June 13th, 2001. Making it their mission to help others dealing with the loss of a missing loved one. Recently, they found an excellent way of obtaining awareness. Project Jason is the first missing persons’ assistance organization to have a property in a new area of Nonprofit Commons, a section within the virtual world, Second Life. Their theme is “Every Face Tells a Story” and the site exhibits special posters of missing persons. These posters contain articles written exclusively for Project Jason in Second Life, contributed by the families of each missing person featured. All of the posters and objects are clickable, taking you to the featured link on Project Jason’s site for news and information about the missing person. If you’re on Second Life, please visit Project Jason’s Office. If you’re interested in getting an account, it’s free. All you have to do is register. Please consider donating $27 to Project Jason for Jason’s 27th Birthday Campaign. Their goal is to raise $2,700 by October 6th, the 5th anniversary of Project Jason. If you listened to War on Crime Radio tonight, you heard Levi suggesting a protest of Miami. I’ve included the show below, take a listen for yourself. Boycotting Miami is a great idea! If I lived outside of Miami, I’d be scared to visit here. Don’t be fooled, Miami Dade Police are not like what you see on CSI:Miami or The First 48. Lilly was a lifetime resident. She vanished June 1, 2007. Miami Dade Police have not properly investigated this case from the start. The case was assigned to a detective who was on vacation. No one did anything for months! The flyer was created over 2 months later. Police did not interview Christen Pacheco, her boyfriend and the last person to see Lilly alive, until many months after. The list goes on and on. Obstacle after obstacle. Up until the present moment, they are not cooperating or properly investigating the case. Just think about how they will treat a tourist! This can happen to you or your loved one! Lilly’s story is not special. People disappear from Miami every day. The problem comes in when police don’t do their jobs and don’t investigate. Civil servants (police) are paid by our tax dollars. There is no excuse for their disregard of human life! Miami Dade depends heavily on tourist dollars. Boycott my beautiful city and refuse to travel here until Miami Dade Police investigate Lilly’s case. No one should have to endure the suffering that Lilly’s family has had to endure. 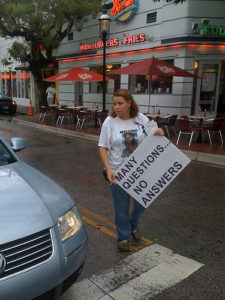 Is it a coincidence that the media in Miami rarely report on missing persons? I think not. Help find Lilly. Boycott Miami. If boycotting is too big a task, then please please for the love of truth, make a phone call to to the US State Attorneys Office in Miami and politely ask them to investigate the possible homicide of Lilly Aramburo. It only takes a minute. The phone number for the State Attorney’s Office in Miami is 305-961-9001. Also, please contact Attorney General Bill McCollum Office, the Contact Person is Sandi Copes at (850) 245-0150. If you’d like to contact Miami Dade Police, the detective’s name is Aaron Mancha, his phone number is (305) 418-7245 and his email is amancha@mdpd.com. These prayers, I dedicate to all missing loved ones. May they be free of suffering.